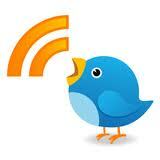 Twitter has long been working on ways to make their services better integrated towards societal wants and needs. About a year ago, Twitter launched a service called Lifeline in Japan, which allowed Japanese Twitter users to find out critical information about natural disasters or other moments of crisis, when other communications servers might be significantly more difficult to reach. For instance, Twitter users could find information about gas or electricity after an earthquake. Upon launching Lifeline in Japan, Twitter mentioned that they hoped to eventually expand these services across the world. It seems that this time has come because Twitter has just announced the launch of Twitter Alerts, a service that will essentially expand the Lifeline service into other countries. Basically, the system allows a Twitter user to receive special alerts from designated emergency Twitter accounts that are run by government and non-government organizations, all with the intention to get important, accurate, and credible information out where it needs to be during emergencies and natural disasters. Many national and international organizations have signed up for this new system to get important information out there. Some of these organizations include the American Red Cross, FEMA, the World Health Organization, and the Tokyo Metropolitan Police Department, among more than sixty others. Those using Twitter Alerts can select specific organizations that they wish to receive alerts from, so that they can get information that is relevant to their region. Twitter Alerts will connect to the Twitter accounts of these major organizations, and they are allowed to mark certain tweets as ‘alert tweets’ so that they will be sent via text message to anyone subscribed to that account’s Twitter Alerts. Currently, the focus of Twitter Alerts is on the United States, Japan, and South Korea, though Twitter has already stated plans to further expand the services and include more organizations from all around the world. 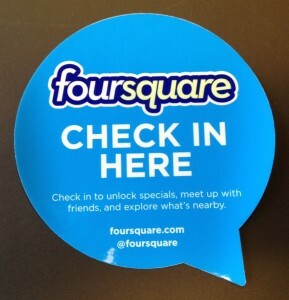 Foursquare originated in 2009 as a social network that allowed its users to ‘check in’ to different locations. Whoever checked in to a location the most would be deemed the ‘Mayor’ of that location and some stores, restaurants, and bars would even offer bonuses to the Foursquare Mayor of the location. Users could earn badges based on the types of venues they were checking in to and could compare their scores with fellow Foursquare users, as well as find out where their friends were currently hanging out at. Initially, Foursquare was quite a popular service, but its popularity began to dwindle after other social networks like Facebook introduced their own ‘check in’ feature. In an effort to remain relevant, the creators of Foursquare began to alter the model of the social network. Some people indicated that the alterations made to Foursquare appeared to emulate some of the features of Yelp, in that Foursquare began to shift its focus towards recommending locations to users that they might like based on the ones they most frequently checked in at. Foursquare has attempted to make other attempts to stay relevant by adding new features that its creators believe that the social network’s users will find interesting. For instance, since the hype surrounding mayorships and badges is no longer what it used to be, Foursquare now alerts people with encouraging messages – such as statements regarding checking in at the gym a certain number of days in a row – that can be shared to other social networks like Facebook and Twitter. Another feature added was the Foursquare Time Machine, a visualization of one’s check-ins that allows Foursquare users to view a map of all the places they have checked in before and all the places they should visit next. Though Foursquare may not be as popular as it once was, the social network still contains a lot of information that some people (and some companies) might find relevant. In particular, Yahoo appears to be expressing interest in the location data offered by Foursquare, in regards to using it for search results, content, and ads based on where a user currently is or the locations they have checked in to in the past. Though no official merger has yet occurred, Yahoo and Foursquare have been in talks for a partnership as of August. Twitter has long had a search function that allows users to search for certain words or topics that they might want to find tweets about. However, the search function has always been limited to a point, for the sake of reducing data usage and providing more up-to-date information to its users. Essentially, the search function on Twitter tends to show more recent tweets in the assumption that more recent tweets are more likely to be relevant to whatever the user might be searching for. However, Twitter has allowed a small number of data partners to have full access to the entire archive of Twitter data and one of these partners is Topsy. 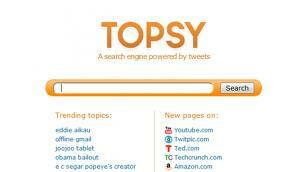 Topsy’s goal is essentially to act as a Google service for Twitter’s entire archive. Recently, Topsy announced that they had indexed every single Twitter message since the very first tweet was posted in 2006, which ultimately contains about 425 billion pieces of content. Until this past week, Topsy’s archive only went back to 2010, but their recent update has included the years prior to this and the company has made the database free to the public. Before Topsy, the only ways to find this sort of information was through partners like Gnip and the Library of Congress, and it wasn’t presented in an easy-to-search manner nor was it free to access. There are many ways that Topsy can be used beneficially, as it is very interesting to be able to look at trends regarding events, products, or people. Essentially, through the way that Topsy organizes its content based on relevance (using an algorithm that takes retweets and favorites into account), it is easy to see what Twitter users thought of a certain political figure or a news story at a certain time, as well as how those users’ attitudes have evolved over time. Similarly, Topsy can be used for advertisers and others in the business world who want to see how Twitter users feel about a certain product or how their brand is being presented in social media. There are countless other ways that Topsy can be used as a resource to journalists, politicians, and simply those with a bit of curiosity. 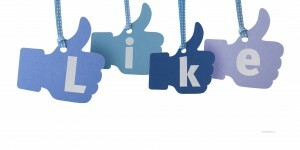 In the future, Topsy hopes to index public pages for other social networks such as Facebook and Google Plus.